Azerbaijan, Baku, 8 August / Trend , corr. E.Tariverdieva / The situation in Georgia can provoke further aggravation of relations in Caucasus, although Russia hardly will want to bring situation to the conflict. "It is now difficult to say whether these actions will transform into large-scale war, but I do not exclude that the conflict will cover entire Caucasus," said Director for Studies of the Central Asia- Caucasus Institute, Professor of John Hopkins University, Cornell told Trend . In the early morning of 8 August, large-scale military operations commenced in the unrecognized South Ossetia Republic. Information was provided that the Georgian military people entered Tsinkhvali in the early morning. 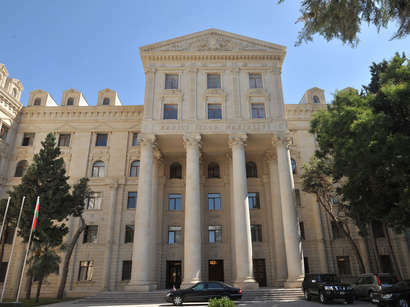 Official Tbilisi describes the events as "re-establishment of constitutional disciplines". The unrecognized South Ossetia Republic asks Russia to provide military assistance. In the morning of 8 August, mobilization of the reserved military people was declared. This information was provided by the President of Georgia, Mikhail Saakashvili, through Georgian television. According to the information, over the past years, more than 100,000 people passed military training and were reserved. The trained people are under age of 25-45 years. Leading American expert on the Caucasus Svante Kornell believes a war in the Caucasus is possible. The impetus to the war was given this night. Kornell said from Stockholm on 8 August that a new military hotbed in the Caucasus would be advantageous for Moscow. However, independent Russian expert Pribilovski believes Moscow will not exacerbate the relations with Europe, protecting Ossetia. Georgia will not allow Russia to put South Ossetia under its control and Russia will not intensively interfere with the conflict. According to Pribilovski, Saakashvili's next goal - Abkhazia - is a more complicated issue. The population of the region will resist. There is a real army. If Saakashvili manages to bring both territories under control, he will rule in Georgia for next 10-15 years. "He will subdue Ossetia, but the problem will be with Abkhazia," he said. Pribilovski forecasts that in next days, possibly tomorrow, Tskhinvali will be occupied. No guerrilla war is expected. "Ossetins will not resist. All supporter of Eduard Kokoity will move to North Ossetia," he said. Expert said now it is urgent for Saakashvili to bring everything to the end, since suspension of attack will be taken by the opposition as Saakashvili's defeat. Georgian independent expert Koba Loklokadze supported the position. "It is too difficult to foretell further development of the events. The only thing I can say is to call on the authorities to carry the issue to its conclusion," he said to Trend . British expert Nathaniel Copsey says that this is clearly a gamble; if Russia intervenes on a large scale, the Georgians will lose. "The Georgian government may therefore have calculated that it will have time to restore full control over South Ossetia before the Russians have a chance to act," Copsey, fellow of European Research Institute at Chatham House, told Trend . According to Pribilovski, only the Security Council may keep Russia from the interference in the conflict. At the initiative of Moscow, in the 03:00 GMT on Friday, the members of the UN Security Council gathered to a special conference, but they could not agree upon the final text of statement on situation in South Ossetia, BBC reported. The UN Security Council limited with the statements, mainly in favor of Georgia although there were recommendations regarding the termination of military operations, expert said. "The Security Council can influence on Russia, and after seeing that United Nations supports Georgia, Russia will be more careful," said Pribilovski. Johanna Popjanevski, European expert on security, considers that the UN can not manage the situation. Johanna Popjanevski, Deputy Director of the Institute for security and development policy (Sweden), told Trend via telephone that the UN has already shown its inability to take part in this process. The current events show that the peacekeeping troops in both Abkhazia and South Ossetia need to be replaced with an international force, preferably led by the European Union. According to the experts, the situation between Georgia and South Ossetia was predicted. 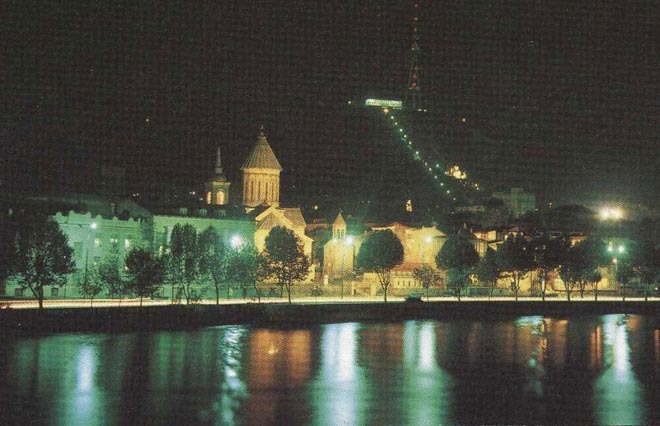 Cornell considers that constant provocations by South Ossetia caused this situation. This is response reaction to those that the Ossetians made in the Georgian villages, expert said. According to him, Ossetia is controlled by Moscow, and it was provoked precisely by Russia. "Because currently the former General of State Security Committee heads the so-called Ossetia Republic," said Cornell. Pribilovski considers that those that now Saakashvili makes with South Ossetia are approximately the same as Putin made with Chechnya in 1999-2000 - restoration of regime by forcible methods.